Green Leaf Lawn is the number one choice for homeowners and property managers looking to install the perfect Tulsa holiday lights. We have the technicians, the professional and the designers that can turn your property or home into the winter wonderland you’ve always wanted. Simply cast the vision, receive a free estimate and get started right away before the holidays take you by surprise. We give you the time you need to shop, pick out a Christmas tree and hang up all your indoor decorations without having to worry about the outside at all. 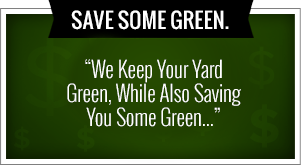 Call for your free estimate today at 918-640-6405. This holiday season does not have to be like the last six years. We understand the stress of hanging up your own Christmas lights and trying to find that box that is somewhere in the attic. Why go through all the stress and the mess untangling Tulsa holiday lights this year? You have the hook up! Not only does Green Leaf Lawn provide we control and lawn care during the spring but once the winter seasons come around, we trade in our lawnmowers for ladders and are ready to hang up those holiday lights in a very remarkable way. We begin with the free home estimate on how much is going to cost to put up your Tulsa holiday lights for this year. We bring along are trained lighting technicians and designers who can help you bring your vision together in a realistic way. We can also provide you with garland and pre-lit wreaths just to give your home a little bit more of a holiday feel. This gives you so much more time to prepare for your relatives that are coming from out of town and purchase those last-minute gifts at the mall. When you return home, your house will be lighting up with beautiful Tulsa holiday lights and give you the feeling of relief as you walk through your front door knowing that you didn’t have to lift a finger. After the holiday season the last thing people want to do is take down the decorations and the Tulsa holiday lights that were installed. But you don’t have to worry about this either. Not only does Green Leaf Lawn install those lights but we also returned to tear them down and store them away. We put them somewhere safe so that their ready for next year when you give us a call to turn your home into yet another winter wonderland. We want you to be stress-free during the holidays, before the holidays and when you’re halfway to the holidays. If you’re looking for the experienced and the creative lighting technicians Green Leaf Lawn has that all taken care of. We have an eye for creating the perfect holiday atmosphere for your property, business or home. It’s your neighbors turn to be jealous of your home this year. Don’t miss out on this great opportunity to have lighting experts install the Christmas spirit on every inch of your home. Get your free Christmas lighting estimate today. Green Leaf Lawn is been the number one choice for installing and hanging up professional Tulsa holiday lights throughout the city. We are one the most trusted light installers for businesses, property managers and homeowners such as yourself. We help you avoid the stress by hanging up the lights, testing them and tearing them down when the holiday season is over. We create the perfect holiday atmosphere with our professionalism, creativity and catching hold of the vision you have for your property. If you’re ready to sign on with one of the top lighting professional installers in the city, give us a call today at 918-640-6405. Hanging up lights is basically a requirement when the holidays come around. So is getting a Christmas tree, purchasing gifts and getting her house ready for those relatives coming in from across the country. Your list keeps getting longer and longer the closer Christmas comes. If you’re not careful, you’ll have too many things on your list and you’ll have to sacrifice one thing for another thing. With Green Leaf Lawn there’s absolutely no compromising with your Tulsa holiday lights. We can install, test and tear down all without you having to lift up a finger. This is how we do it. We always start with a free estimate and on-site quote that will give you an accurate amount of how much it will be to hang up this Tulsa holiday lights. When you decide that you want to go with the lighting professionals and technicians, we send our professional team out there at once. We hang up the lights in no time and test them to make sure that they’re working properly. We also allow you to view the work we have done and once you approve, your good to go. We are the light installation company that is guaranteed to meet your needs the best while always providing a free lighting estimate. What about after? That is a great question. Green Leaf Lawn also tear down the lights and store them away so there ready to be used for next year. Not only is hanging up Tulsa holiday lights a pain but there is little or no chance that they will still be wrapped neatly for next year. No one wants to go through a tangled wad of Christmas lights every single year. When Green Leaf Lawn installs and tears down those Christmas lights, there is no chance that the be tangled and you never have to worry about going through knots ever again. If you’re looking for additional decor and Christmas decorations we can also connect you with a highly trained lighting technicians and designers who can install garland and pre-lit wreaths just to give your house a little bit more of a Christmas edge. Your winter wonderland awaits and your lighting professionals are simply waiting for your call. We have the lighting crew that can get the job done right and we get it done fast. 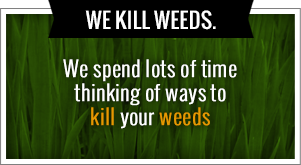 Give us a call today to Completely avoid the stress this year.